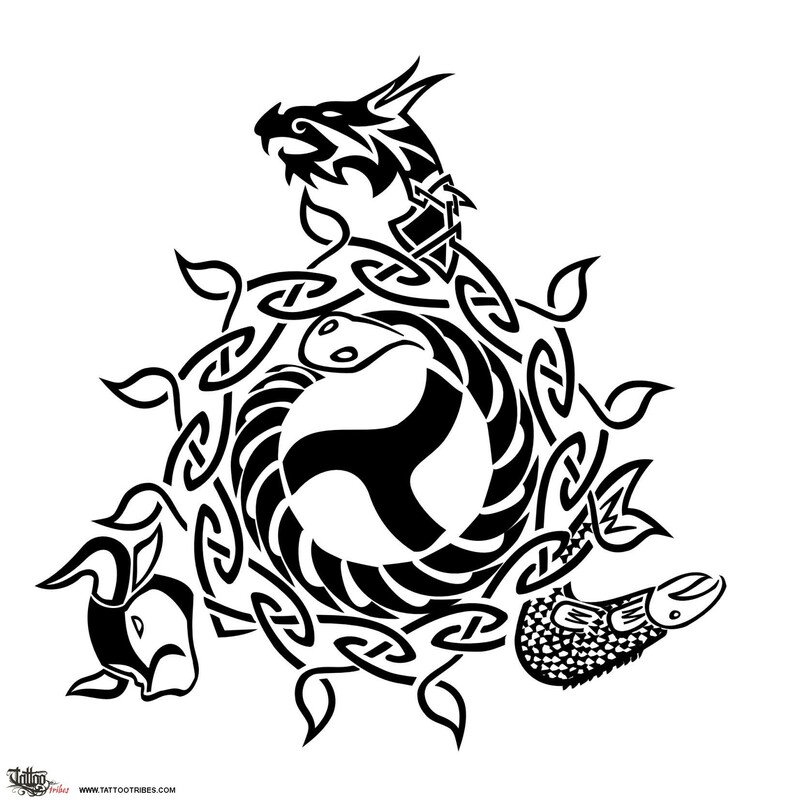 Alessandro asked for the tattoo of a triskell that developed from an inner sun-surrounded ouroboros into three branches ending with animals that represented the elements: dragon for air, salmon for water and bull for earth. To Celts, salmon represented knowledge, and bull virility. Dragons were actually associated with fire, and the power of earth. 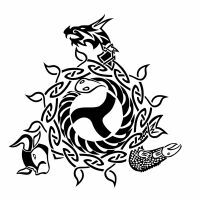 This design can well represent the indissoluble union between all elements.